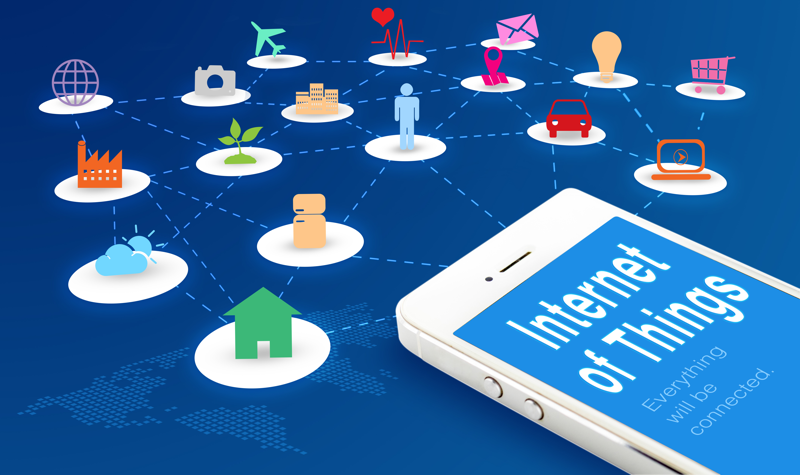 To achieve the full IoT vision many companies like to espouse, you would need to, seemingly, connect everything to everything. Realistically of course, that’s not only impossible, it’s actually of questionable practical value. While we may occasionally hear about surprising new combinations of devices and connections, most of the odd combinations won’t do anything useful. Instead, the focus in the near term is more likely to be about connecting related devices to each other: lights to lights, heating and air conditioning systems to thermostats, wearables to smartphones, and so on. Applying this concept practically to the business world—where many of the most useful and most profitable applications are likely to be found—we’re starting to see a lot of interesting vertical applications for IoT. Smart buildings, for example, are starting to combine all the core “infrastructure” elements from lighting, HVAC (heating, ventilation, air-conditioning), security, plumbing, electrical, and so on into integrated systems that can be connected, monitored, and controlled from a single source. It’s analogous to the way independent elements of a modern data center—servers, storage, and networking—are all starting to be combined into hyper-converged infrastructure appliances which are under the control of a single management interface. However, even making these simple types of connections isn’t always as easy as it sounds. In the case of smart buildings, many of these “infrastructure systems” have always been independent of each other and don’t really have a common point of connection. That’s part of the reason we’re starting to see companies like Dell and others start to offer smart building “gateway” devices that potentially connect to some (though not all) of these systems. But having a gateway isn’t enough. There are also challenges in determining how the systems might connect from a software perspective. While there are some old serial port physical connectors that can be leveraged, these are truly “legacy” systems that don’t always adhere to modern standards. Some buildings leverage BACnet, which is a specific smart building industry protocol used in building automation systems (BAS), but there can be many variations. As a result, it can be challenging to piece together comprehensive solutions — and that’s just intra-building. If we want to move on to smart cities, we would need buildings to talk to each other and potentially, to city-wide grids of intelligence and capability. While efforts are certainly being made there, they’re likely to be much further off from implementation than some of the IoT hype suggests. There’s a real lack of platforms available to drive the kinds of connections and applications that are possible in most vertical industries. Once again, there’s a real lack of platforms available to drive the kinds of connections and applications that are possible in most of these vertical industries. Throw in smart cars, vehicle-to-vehicle (V2V), and vehicle-to-infrastructure (V2I) connections, and you have an absurdly complex array of communications that needs to be sorted out before even the simplest of IoT visions comes to pass. This is why discussions around IoT standards are very important on one level but, on another level, are not. The issue is there’s a great deal of work that needs to be done on solving the vertical industry challenges before we can start to worry about making vertical industry-to-vertical industry connections. Yet, that’s where a lot of the discussions around protocol standards battles, such as AllJoyn vs. OIC, are being focused. In truth, some of the inter-industry work can be done simultaneously to the vertical intra-industry efforts, but how are we going to get, for example, smart shipping containers to also co-exist with smart buildings, when each of these solutions has a great deal of work to do within its own industry? Additionally, these aren’t exactly the sexiest, coolest concepts for IoT. As a result, they may not get as much focused attention as some of the snazzier IoT concepts, such as consumer-focused smart homes. Now, it could be that some of the current standards end up becoming the driving factor in vertical industries. The problem is, for example, we could see AllJoyn take hold in smart cars, while OIC wins out in smart buildings. Then we’ll end up facing the need for protocols to talk to each other as these industries start to try and work together. Eventually, we will probably see the kind of vertical industry platforms connections to vertical industry platform connections the grand IoT visions promise. In the meantime however, we’d be much better off just getting the closely-related vertical industry solutions working well before worrying much about where else they can connect.